People seem to want what they can’t have. Tell a kid he can’t stick his hand in the cookie jar, and he’ll find a way to get in there. Tell a man he can’t date a woman because she’s taken, and he’ll only want her more. Tell a company that a particular candidate is already employed, and they’ll still find a way to recruit them. This last example is pretty much the basis for corporate recruiting. Employers and recruiters tend to view passive candidates, or qualified, employed candidates who are not necessarily looking for new opportunities, as preferable to active candidates, or those who are actively looking for new jobs. Now that’s not to say all passive candidates are automatically better than active candidates – we try to avoid generalizations here at RecruitiFi. Nevertheless, the statistics are telling. A CEB Recruiting Leadership Council Global Labor Market Briefing found that passive candidates’ performances are rated 9% higher than those of active candidates. Passive candidates are also 25% more likely to stay with the company in the long run. Talk to an employer looking to fill a position and they’ll likely tell you that they intend to fill it with a passive candidate. Is that necessarily fair to an active candidate who would work hard, produce results, and demonstrate loyalty to whichever company took a chance on him? Of course not. The aversion to active candidates is an interesting one, so let’s delve a little deeper and examine the arguments for recruiting both types, while acknowledging the arguments against. 75% of the workforce is passive, meaning they are not looking for new positions. Recruiters, however, know that there is a subset of passive candidates, approximately 60% of the workforce, who are not looking for new jobs, but would be willing to discuss a new opportunity. For many businesses, this is the sweet spot. There are a number of reasons that organizations choose to recruit passive candidates. First of all, since passive candidates are not seeking new jobs, they will likely not be interviewing with other companies. This cuts down on competition and boosts the odds that a company can land the candidate they want. Additionally, candidates with steady jobs are unsurprisingly seen as more reliable and more motivated. Employers know that if they are going to make a hiring decision, it had better be the right one considering how expensive a bad hire is. Thus, companies like to see employees that have stayed with other organizations for an extended period of time so they can make a smart, calculated decision. 25% of the fully-employed workforce is categorized as active, meaning they are actively looking for work. While active candidates are looked down upon by some recruiters, they have their upsides too. For one thing, active candidates will likely be even more enthusiastic about the job in question than passive candidates since they actively want the position and won’t have to be convinced of its merits by recruiters. Secondly, they are much easier to find than passive candidates. Job postings will yield numerous resumes from interested candidates and will require less proactive candidate sourcing. Needless to say, different candidates will have different characteristics about them which make them either appealing or undesirable. 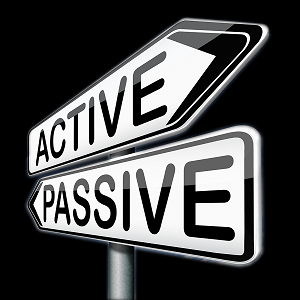 Active or passive, it shouldn’t really matter. What should be valued above all else is a candidate’s qualifications, willingness to learn and work hard, and enthusiasm about the position. Whether they are looking for a new job is just background noise, and companies should make a concerted effort to be less biased against active candidates.